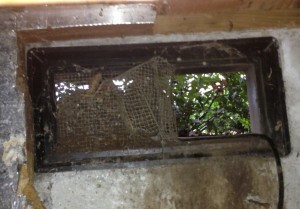 I’ve come across a theme that needs to be addressed when it comes to rodent removal. I have several customers who feel that the presence of mice or rats in their homes means that they are unclean, unsanitary, disgusting people. The fact is, rodents just want what we want-a warm place to sleep and something close by to eat. The myth that a mouse or rat would prefer a house that is unclean is perpetuated, I believe, by the landlord-tenant relationship. Many lease agreements state that it is up to the tenant to pay for any rodent control programs should the need arise. This implies that it is the tenant’s responsibility to keep the home clean and free of clutter and debris, otherwise a rodent outbreak will occur. Here is the problem (sorry landlords! ), rats and mice-while they do enjoy the comforting safety of clutter and debris, are looking for proper shelter. What they are looking for when it comes to our houses, is opportunity. If they can get into a crawl space or attic, they might be looking at 10 to 40 degrees warmer weather than what’s outside under a tree. Food is overly abundant, especially in the Portland area. Bird feeders, compost piles, cat food containers left outside, garbage cans are everywhere. In the above picture, the foundation vent screen has been compromised to allow access for cable TV. A mouse can fit through a hole the size of a dime, a rat-the size of a quarter. A foundation vent with no screen, by the way, is big enough for a raccoon. My approach to rodent work is simple. 1. Find the ways the rodents are getting into the structure. 2. Eliminate the access (seal holes) 3. Set traps for the rodents 4. Remove the trapped rodents. I don’t use bait inside structures. I’ll talk at length about this in a later blog, or if you have questions you can always email or call. Prices start from $275 for rodent programs. 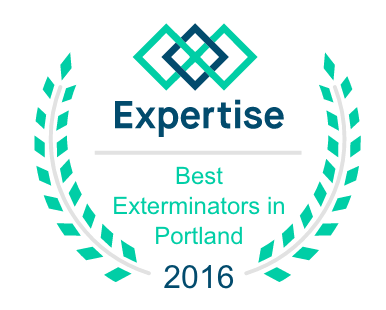 I perform one-time treatments, which include several follow-up services to ensure the quality of the work and the elimination of the rodents.